Intrigued, I ordered the product from Amazon. ($30/4 oz. via Amazon or Lulu Organics. Travel size also available.) Since its arrival two weeks ago, I’ve used it 2-3 days a week – on my “off” days from traditional hair washes. I try to wash my hair daily – even just quickly doing so in the sink basin – because it becomes matted down with grease by day two. But parenthood and life sometimes throw a wrench in the daily shower plan, which results in excessively oily hair. Dry shampoo offers an oil-absorptive solution that allows me to be more improvisational. I use it on days with moderate exertion – that don’t leave me dripping with sweat – when I can get away with deferring a shower until the evening (for example, a long walk or light gym workout). The dry shampoo is great at preventing that greasy hair look that gives away the fact that I skipped the shower, and it just doesn’t feel good when the hair is unclean. Check out the Lulu Organics website for a full menu. I can’t wait to try it after a long flight or a travel day when I look forward to “de-greasing” but can’t yet access or squeeze in a shower or soak in the tub. 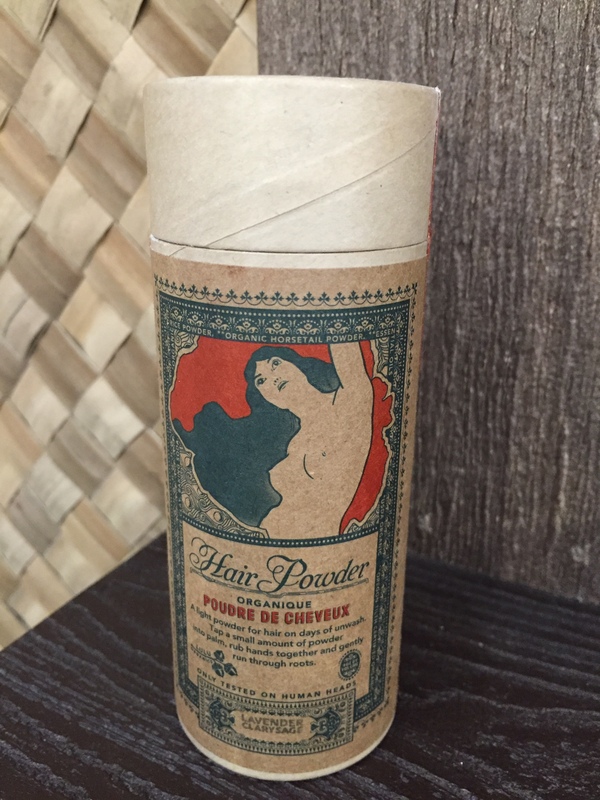 Dry shampoo comes in powder or dry spray form. The goal is to target the roots of the hair shafts, where oil accumulates, when the hair is dry. To apply dry shampoo, remove all hair accessories, comb through the scalp, and sprinkle or spritz it directly onto the roots, particularly in the oiliest sections – the natural part and bangs, if any. 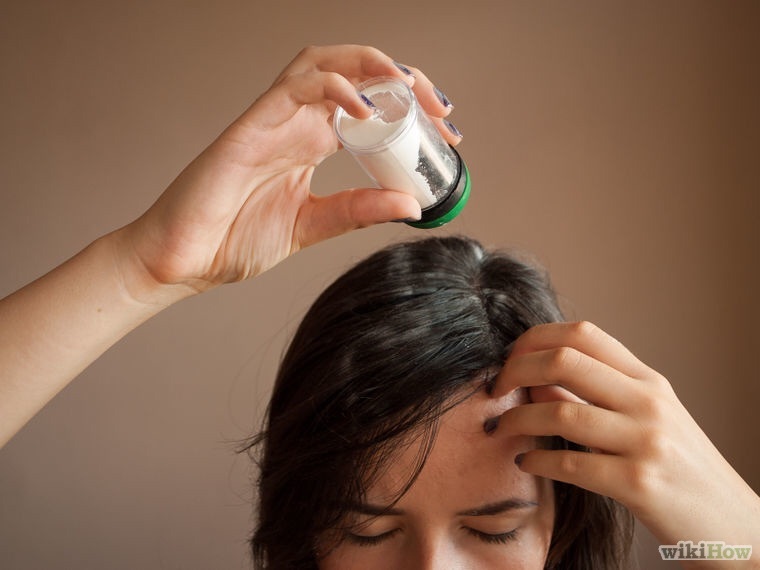 I put a dime-sized dollop on my palm and transfer it to my roots a little bit at a time, which is what Lulu Organics recommends, rather than to sprinkle it from the bottle directly onto the scalp. I then use my fingertips to distribute and work it into the roots, adding more when necessary. It’s okay to use a comb or brush instead of fingertips. I recommend doing this over a sink. If using a spray, hold it about six inches from the scalp to achieve an even distribution and to prevent direct application to the scalp, which can cause excess dryness. Allow five to 10 minutes for the shampoo to absorb the oil. Then flip your head over and shake or brush out any excess of the powder. 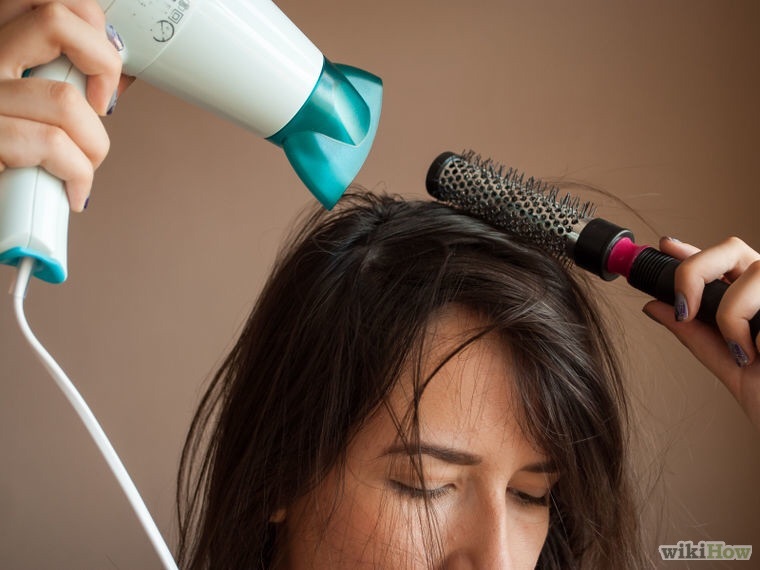 For powder or spray, a few seconds of hairdrying may also help to reduce excess shampoo. For some extra dos and don’ts, check out this article on HuffPo. Most dry shampoo connoisseurs agree that three days is the threshold before a wet washing. Because dry shampoo is only absorbing oil and not actually cleaning skin cells and other debris from the scalp (or from the rest of your body), regular shampoo and water washes are necessary after a few days. Dry shampoo contains a substance, or usually a combination of substances, that absorbs oil and can be brushed or blown out of the hair. Dry shampoo only works on hydrophobic soils, such as natural hair oils and oil-based styling products. Some oil-absorbing ingredients found in homemade dry shampoo include corn starch, orris root, oatmeal, and clay. A popular commercial spray-on dry shampoo contains a slew of ingredients, including: isobutane, propane, denatured alcohol, aluminum starch octenylsuccinate, butane, fragrance, isopropyl myristate, silica, and cyclopentasiloxane. Lulu Organics Hair Powder contains organic corn starch, white clay, organic rice powder, baking soda, organic horsetail powder, and organic essential oils. Dry shampoo won’t eliminate or even reduce dirt and grime, skin flakes (dead skin cells), or chemicals/products that can make hair look and feel greasy. It merely absorbs excess oil. Thus, most stylists recommend using dry shampoo intermittently, such as between regular shampoos, in an effort to reduce chemical damage to hair or on an “emergency,” post-workout basis. We all still need to use traditional water-based shampoo on a routine basis to clean and freshen the skin and hair on our scalps. Complementing your dry shampooing with an essential oil can add a scent similar to wet shampoo. Be sure to apply the oil to the middle-to-end of the hair shafts after you’ve applied the dry shampoo to avoid re-greasing your roots. Citrus oils, like lemon, as well as peppermint, eucalyptus, lavender, and rose oils work well. I have yet to try this because I really like the fresh scent of the Lulu Organics hair powder. However, some other dry shampoos have a funky scent, so an essential oil may be essential. Lulu Organics makes hair oils, as well.